Here I am, still going through possible holiday picture books....I also felt an urge to look at everything Alison McGhee did. This charming book is a little thin on plot and motivation, but it's illustrated by Harry Bliss so who cares? 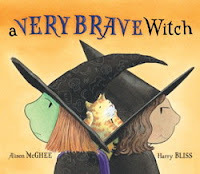 A little witch and a little girl become friends, despite the fears and prejudices of adults. Lots of witchy details and adorable moments. Verdict: A good choice for Halloween collections and every day storytimes, if witches are ok in your community. This fun and colorful picturebook combines imagination and art in the lesson that it's ok to make mistakes. Each of the eraserheads specializes in erasing a certain kind of mistake. They each have a distinct personality and when one day they make their own mistake, they use their skills to work together and escape from the art that's been messed up. The message of trying again and not giving up after making mistakes is firmly planted in the story, but it never strays into didactism. 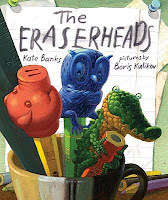 The unique eraser characters are enchantingly odd and the boy's art is childlike but enjoyable. 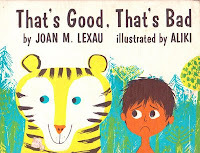 Verdict: A good story for reading aloud before art lessons or for art-focused storytimes. Two by two the cats come out, dancing in the city. 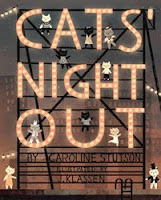 I liked the illustrations of the various little cats, and there aren't many (ok, I don't know of any) counting by two concept books, but how many kids are going to know what all the dances are? You can't really tell from the cats, although they wear different costumes. I guess I'm kind of prejudiced against dance and music picturebooks in urban settings because we have so many jazz books that hunker down on the shelves and glare at patrons, refusing to be checked out. Verdict: I'm giving it a miss, but if you have lots of support for dance and music books, you might want this for your library. I'm generally wary of historical fiction for middle grade readers, especially those that fall into the "we're all the same just in different times." NOT! However, Palace Beautiful is the first title I've seen that effortlessly blends two different time periods and the girls from each of them. It's 1985 and the main character, Sadie, is thirteen. She's scared and excited about moving to a new house and a little tired of her younger sister's Zusu's tantrums. When she meets the mysterious and dramatic girl next door, Bella, she's hopeful that she may have finally made a friend. There are a lot of new, good things about moving to Salt Lake City from Dallas, but Sadie sometimes feels like there are too many new things in her life. New house, new friend, new mother, new baby. 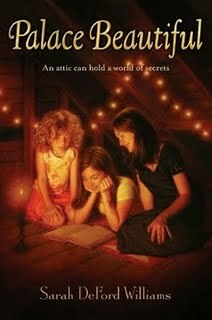 Then she and Bella find a diary hidden in a secret room in the attic and discover the life of another girl, Helen, who lived in 1918. As she and Zusu and Bella read Helen's journal and see the flu epidemic and daily life through her eyes, they begin to deal with their own families and friendships and discover how much they have in common with Helen and with each other. I'm very pleased by the way Ms. Williams was able to keep the girls' voices realistic and historically accurate without dumping information or throwing the reader out of the story. As I was saying earlier, this is the first book I've seen where the author managed to relate the characters to each other - both Helen and Sadie have experienced tragedy and difficult times in their families - without compromising the historical accuracy of the characters' voices and behavior. While historical fiction isn't generally popular, I think I could easily find readers that would enjoy the glimpses of history as well as the family and friendships of the girls. Fans of the Dear America and American Girl series will be especially interested in this story, but I'd also hand it to girls who like realistic, interesting fiction about relationships. This is an excellent debut novel and I look forward to seeing what the author produces in the future. But...oh that cover. You got a bum deal, Sarah Williams. Granted, the main characters and most of the story is set in the 1980s, but did the cover have to look like it was printed in the 80s? Frankly, I'm reluctant to buy this because it's going to take a lot of handselling to get over the cover. However, I could be wrong - it's possible that kids won't pick up on the blurry earth tones and the set faces of the characters and will like seeing the secret room. I'm going to wave the ARC around a bit and see what reactions I get. Update: I passed this galley along to a ten-year-old girl who loves to read...and she LOVED it! She is sharing it with her friends and they have even had a little informal bookclub over lunch! She's going to keep the galley so she and her friends can share it and I'm buying a copy for the library in my next book order. Clearly, this book just needs a little extra love to find some very happy readers! This is a strange but ultimately interesting story. Oliver doesn't really care about anything. He just wants to be left alone to watch tv, eat junk food, and express his hidden misery at his lonely and unhappy life in torturing insects. But all that changes when his mom gets a new job and he and his teenage sister, Rachel, are carried along on the move to a creaky old house in the middle of nowhere. Because this house is beside The Pond and The Pond is home to The Alliance. The birds, mammals, insects, reptiles, and fish originally formed The Alliance for protection against the humans polluting their pond. But now they're carrying on an all-out war with any human who comes near - and there's more going on that even the alliance members don't understand. When Oliver finds a strange gem in the attic, he's suddenly involved in the complex lives, friendships, and betrayals of the creatures who live in and around The Pond. He forms a temporary friendship with his sister, is yet again disappointed by his dad, and finally makes friends for the first time in his life. The story builds to a climactic, but ultimately uncertain ending as Oliver gets ready to return to the "real world" of school and misery, the reader wonders how much he's really been changed and whether or not he'll actually be able to finally make a friend in the human world. 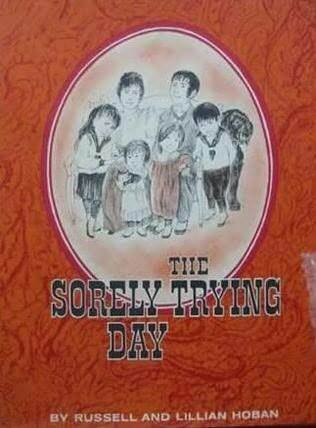 There are a lot of genres fighting for a spot in this story, from a brief venture into the E. Nesbit/Edward Eager tropes of kids experimenting with magic (Oliver and Rachel's brief companionship doesn't last long and ends rather nastily) to a mixture of animal characters including the homely comfort of Robert Lawson and Thornton Burgess' little friends as well as the evil villains straight out of a Redwall saga. Despite the mixture of plots and characters and Oliver's miserable personality, the reader can't help being drawn into the fascinating and slimy world of the pond and the hopes and fears of the creatures and humans that live around it. Real life is messy - just like Pond Scum. 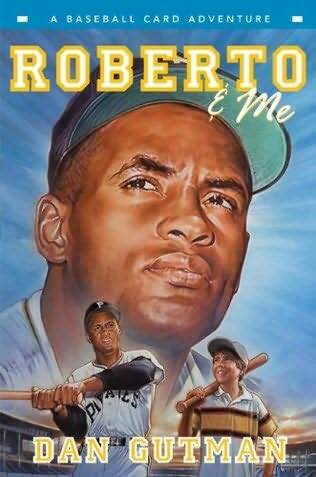 Verdict: A good, strong story, much deeper than it appears on a quick skim. I'm not sure about audience; I think I'd give it to middle grade readers with an interest in wildlife and possibly Warrior fans. I borrowed this early version of the popular sequential consequences story through inter-library loan. It is hilarious! Also delightful and still fresh and new. A hungry tiger meets a little boy and tells him to run, since he is going to eat him! "I have no run left in me" declares the boy, and tells the tiger a lengthy story of how he has been running all day, trying to escape from a rhino. The tiger responds, "that's good!" or "that's bad" to each twist and turn in the story until....well, I won't tell you how the clever boy ends the story and escapes the tiger AND the rhino. The illustrations are bright and I love the way Aliki separated the different threads of the story and keeps the main characters viewing the action at the sides. As far as I can tell, this book is out of print, which is a real shame. Like most parodies, this wacky story will best be appreciated by grown-ups, although older children who grew up with Curious George might catch some of the humor. George, a giant ape instead of a monkey, is exploited by a "man in a funny hat" as he tries to escape from miserable situation after miserable situation until he finally does some thinking and escapes back home to the jungle. The pictures are humorous but undistinguished. 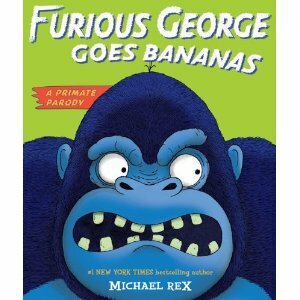 A novelty book, not necessary to get unless you have a really rabid Curious George fan base. Or people who like parodies. Actually, better to hand this to the people who like parodies as Curious George fans probably won't appreciate someone poking fun at their beloved classic. In case you had not realized this, I spent most of the weekend reading (no, I wasn't doing any of the read-a-thons, that's what I do most weekends) and now I'm catching up on reviews. When I first heard this title, I wanted it. Then I read a description, and I'm all "meh, I don't like Hollywood books." Then I grabbed a copy at ALA and read the back and I was "meh, I really don't like books about kids Making It Big and then Realizing What's Really Important." Which just goes to prove that librarians, not publicity agents, should write cover copy because when I finally, and rather grumpily, read the book...it was excellent, engrossing, and engaging. First, a brief note on the cover. My ARC shows pretty much the same picture, except the kid has calmer hair. In fact, I think it might be a different kid, or maybe I just can't see that well. 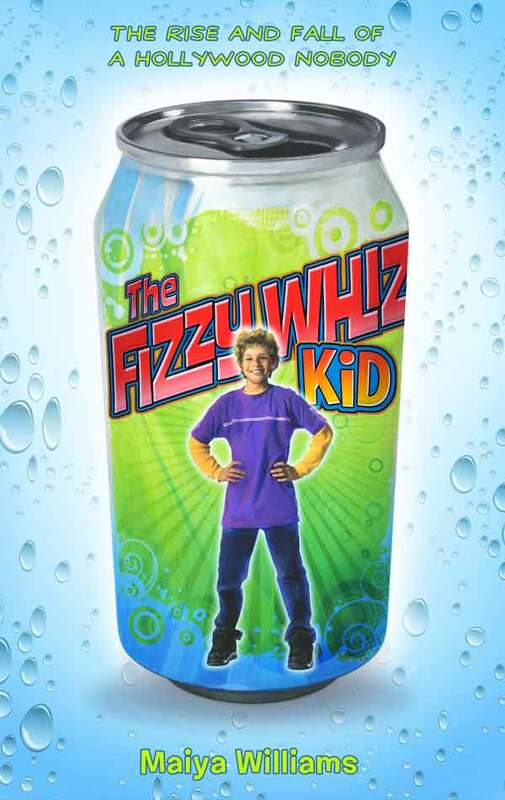 I've seen some other cover pics that have a big face on the can, instead of the little inset guy. I'm not sure, but I think this is the final cover here. Either way, they're all ok.
Mitch is used to starting new schools. As long as he follows the rules on one of his many lists, he knows things will probably be ok. Eventually. But this new school is a whole different situation, one that doesn't fit any of his lists. Because this school is in Hollywood and all the kids are, well, special. When his dad makes an especially disastrous appearance at the school, Mitch decides his only chance for ever fitting in - or at least not being noticed - is to get involved in the local obsession. Movies. But things get out of hand, fast, and Mitch is soon bewildered and confused as he tries to figure out what happened and exactly how he got where he is - and how he can get back to where he was. Okay, okay, maybe other librarians should write cover copy. I didn't say me in particular. Anyways, although there were many parts of the book where I found myself staring at it and saying "wait a minute, that just wouldn't happen" I'd then realize "duh, this is Hollywood. It's crazy and everything happens really, really fast." It's reality, just a different reality than most of us are used to. Hand this one to kids who like a fun story about friendship, family, school and figuring out who you are and/or to kids who are obsessed with and fascinated by movies and the film industry. Verdict: Fast-paced, informative without dumping information on the reader, and full of personable, believable, and interesting characters. But right now I am going through a serious disorganization phase. So far, since last week, I have: Forgotten I was scheduled and was late to work, lost my car (long story - basically, I forgot I drove it to the library and walked home, then couldn't figure out where it was the next morning), threw away a check before I cashed it (fortunately retrieved before I took the trash out, several days later. It pays to be messy). I will return when the disorganization phase is over, hopefully before something really dire happens. I really wanted to like this one. It's about a guinea pig! And Fuse #8 really, really liked it (unfortunately, I can't find her review because of the blog switch, but it's probably on Amazon). But I didn't like it. Mainly because I couldn't stand his parents. His dad is an obsessed control freak and we're expected to feel sorry for him because he's having trouble dealing with being a housedad and having to do housework. Excuse me? His mom has apparently been working as a paint mixer for 20 years, so who was doing the housework before his dad came home? AND working a full-time job? But I don't like his mom any better. She's either incredibly manipulative or extremely stupid. 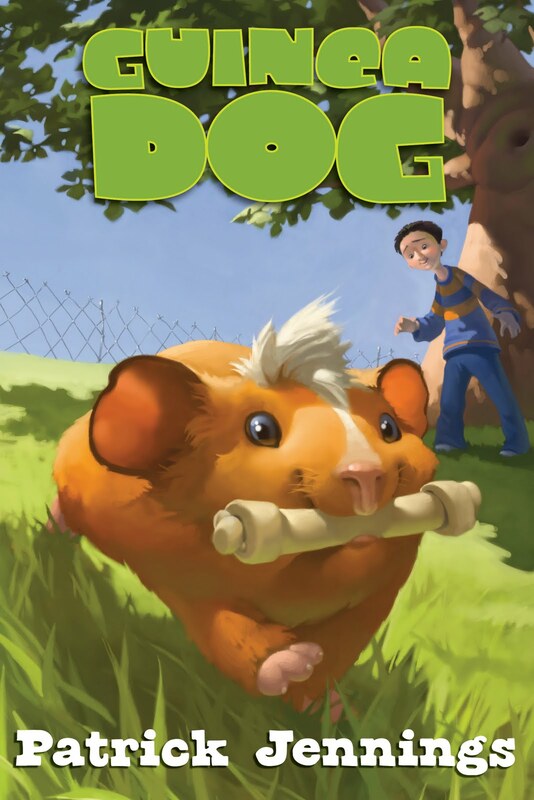 The guinea pig acting like a dog was kind of cute, his friends were interesting, and the main character was ok, but I just couldn't stand the parents. I don't have a problem with weird or unpleasant parents, but it drove me nuts to have them presented as ok and normal. Grr. At least that's how I felt about it. Someone else might get a different feel from the story and think the parents were cute. Verdict: I couldn't stand it, but will probably get it eventually for my private collection of guinea pig books, just because I am an obsessive collector. I am hosting my first carnival ever! It's my turn to host the new I Can Read! carnival. Let's celebrate easy readers, beginning chapter books, and the delight of new readers! The basics: The Reading Tub has the introduction and explanation if you're not sure what an easy reader or beginning chapter book is. You can also send posts related to new readers and beginning literacy! Remember, you can also submit posts published last year - April 2009! Leave your post in the comments! The Reading Tub has a review of A Sick Day for Amos McGee, a picture book well-suited for early readers. 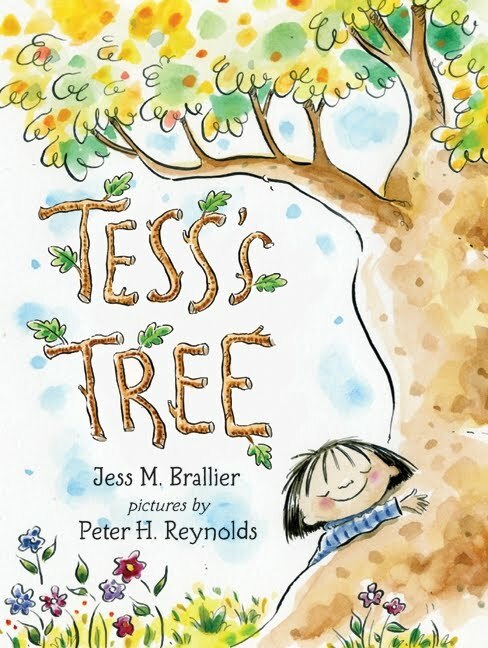 Says Terry, "It is a picture book, but it has all the elements of a great easy reader: fun story, lots of repeated sight words, and illustrations that help kids decode some of the bigger text." Mary Ann at Great Kid Books has a review of Mo Willems' newest series, Cat the Cat. These are marvelous books both for reading aloud to toddlers and preschoolers and for very early literacy! I'm already wearing out our copies and they haven't even been catalogued yet! You picked a winner, Mary Ann! Becky at Young Readers has reviewed Porky and Bess by Ellen Weiss. This was a new one to me - Thanks Becky! Anastasia Suen at Five Great Books, looks at five great books about spring - including easy readers, both fiction and non-fiction, and chapter books! Beginning Chapter BooksThe Book Chook has a review of the Pony Patch Collection for all those horse loving beginning chapter book readers out there! I've collected a series of short reviews of various beginning chapter books I posted last April. Amanda at The Literary Family has a great post on introducing children to early readers and organizing your child's home library. I showcase three nonfiction books (two of them in series) that encourage early readers to explore nonfiction and offer tips on how adults can interact with children in reading this books. Hmm. I could have sworn I'd reviewed a Theodosia book before, but apparently I've only done Nathaniel Fludd. Oh well. If you haven't met Theodosia yet, Theodosia Throckmorton is a very improper and unconventional girl in the Victorian Age. She has discovered she has a talent of ancient Egyptian magic, which is a Good Thing, since her parents run the Museum of Legends and Antiquities and you never know when a nasty Egyptian curse is going to crop up. 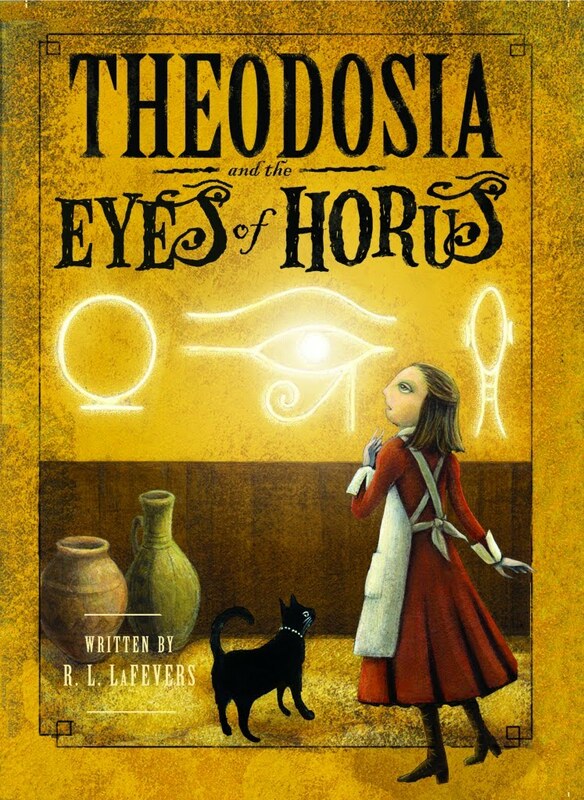 In the first two Theodosia books, we learn many secrets, meet several secret societies that range from ridiculous to terrifying and get a glimpse of secrets yet to come. I had high hopes for this book, despite it being a sequel. I am a bit soured on sequels at the moment. Actually, that understates the case. Hand me a sequel and I will shriek in agony and whap you over the head with it, especially if it involves: vampires, feisty young girls, boys with mysterious origins, or quirky characters of any age or gender. I had hoped that the characters and plot would live up to the previous two volumes. Well, they didn't. They were even BETTER!! Theodosia retains every bit of her sharp and curious personality, from her bossiness and intelligence to her vulnerability and very human mistakes. Will continues to emerge as a character as we learn more about his life and ambitions. The plot continues to fit together smoothly and tightly and grips the reader from the first sentences; "I hate being followed. I especially hate being followed by a bunch of lunatic adults playing at being occultists." to the satisfying but still suspenseful conclusion. And it's still funny. Very few authors can maintain the humor of a series through the third book, but I snickered throughout at the dry and ticklish wit. Verdict: Hand this series to (sigh. do I have to say it?) 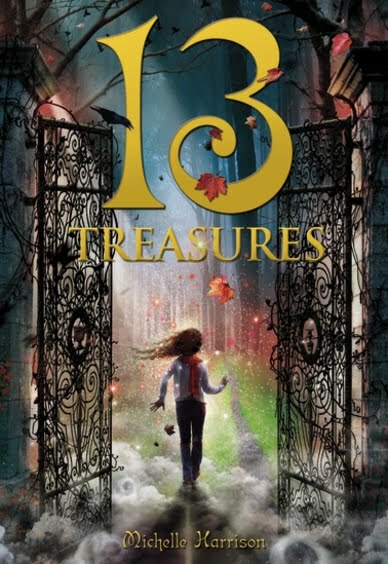 fans of Harry Potter, Percy Jackson, Tamora Pierce, Victoria Hanley, er...well, hand this to boys and girls who like suspenseful and exciting fantasy with strong characters, humor, and excellent writing that will grip them from beginning to end! Last April, I read a TON of beginning chapter books. So, for your delectation, I have tidied together all their read snaps and squooshed them into one handy post and here they are, both good and bad! 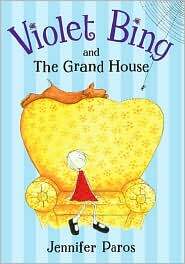 Violet Bing and the Grand House by Jennifer Paros. Probably a helpful manual for mild agrophobics but it's a very strange writing style and I can't really see it appealing to kids. 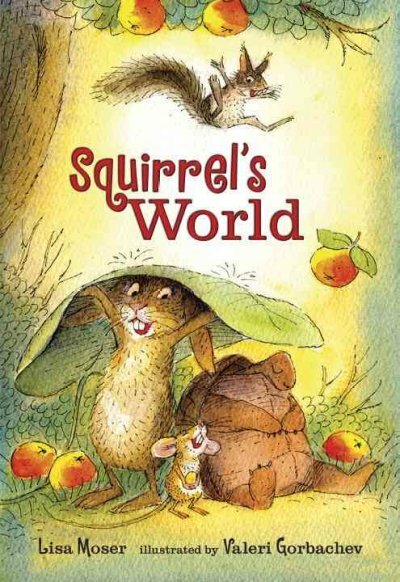 Squirrel's World by Lisa Moser. Squirrel's exuberant hyperactivity and helpful disasters will resonate with kids who are always being told to calm down - and their parents. Perfect characterization, great dialogue! 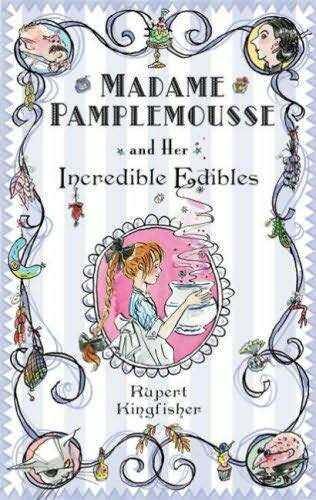 Madame Pamplemousse and her Incredible Edibles by Rupert Kingfisher. This sweet beginning chapter book is a bit of a Babette's Feast for the younger crowd. Readers will enjoy the fantasy elements of the magical cat and the strange and exotic foods of Madame Pamplemousse - and will cheer when Madeleine wins out over her beastly uncle. 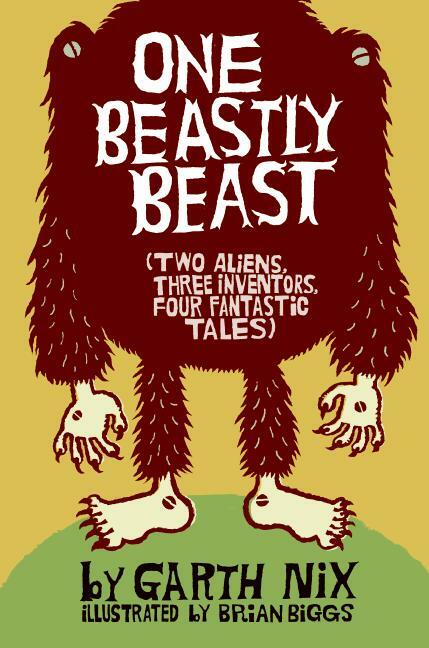 One Beastly Beast (Two Aliens, Three Inventors, Four Fantastic Tales) by Garth Nix. My favorite of these was the first, BlackBread the Pirate. The wimpy sailor rats, the hero's wafflings, and the silly and outrageous plot were quite amusing. The other three stories felt rather contrived. 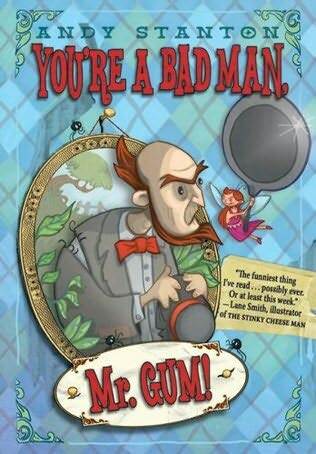 You're a Bad Man, Mr. Gum by Andy Stanton. A cross between Lemony Snicket and something I can't quite think of at the moment. Far too rambling and too many inconsequential details and miscellaneous asides for my taste, but I can see some kids finding it hilarious. The audiobook was funnier and I recommend it more than the book. 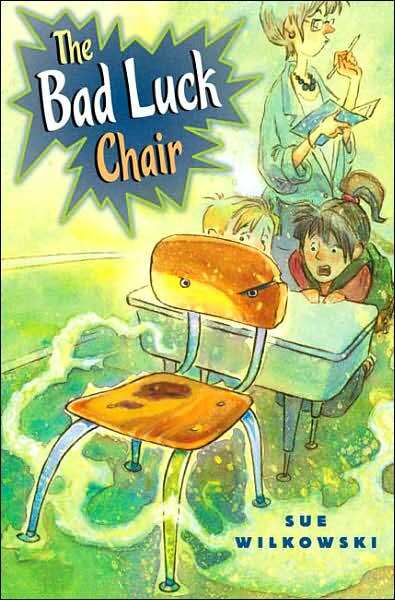 Bad Luck Chair by Sue Wilkowski. Spot-on portrayal of elementary kids' little superstitions and daily trials. 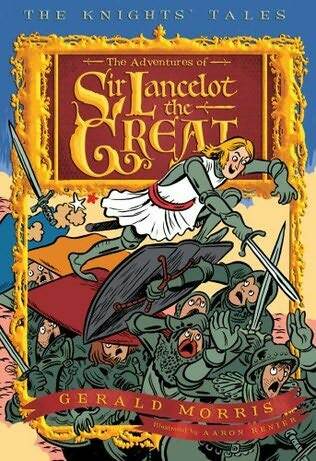 The Adventures of Sir Lancelot the Great by Gerald Morris. All I'll say is that it involves shiny armor, love-sick ladies, and afternoon naps....first in the Knights' Tales series by Gerald Morris. Not to be read while drinking milk. The Boy Who Sprouted Antlers by John Yeoman. So, you know how teachers and other well-meaning people are always telling kids they can do anything if they just work hard enough...live up to your potential....and so on and so on? Well, this little boy TOTALLY BELIEVES his teacher. But while her idea of doing anything he wants if he just works hard enough is improving his schoolwork (specifically his basket-weaving in art)....He's got something a little more interesting in mind. Yeoman's characterization is absolutely perfect - I can completely see kids talking like his characters! I laughed and laughed and laughed. Never mind the publisher's blurb on the back saying it's a book about "being different." Nope, this is a totally wacky book that's just FUNNY. And what more do you need? If you are a fan, as am I, of Krista Ruepp and Ulrike Heyne's lovely horse picturebooks, featuring a small Icelandic girl and her beloved pony, you will want to do some digging for their beginning chapter book series! The stories are simple but elegant, showing the characters' unique personalities and love of their island home in every line. The pictures, as always, are marvelous, the horses' wild manes and frothy waves showing the harsh but exuberant life of these northern islanders. 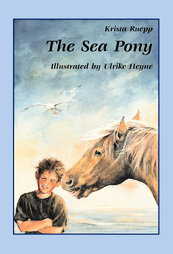 These lovely stories are perfect for the young horse-lover as well as fans of Bodil Bredsdorff. Titles include: Horses in the Fog, The Sea Pony, and Midnight Rider. This is a really...different book. Presented as a series of short stories by different students with commentary by the narrator, Tommy, and his "friend" Harvey, each story focuses on advice given by an origami Yoda finger puppet. Dwight, the boy who made and sort of, maybe, they're not sure, controls Yoda, is a total loser and extremely weird. But the advice Yoda gives isn't that bad. Sometimes it's good. Is the Yoda real or is Dwight not as dumb as he seems? On the one hand, the story is disjointed and confusing, the ending pat, and the various characters never really emerge as real people. On the other hand, kids may relate to the angst and confusion of middle school, and the various characters' problems. Some kids will be attracted by the Yoda motif, others could care less. Reluctant readers may be interested in the short, choppy chapters, but the childish cartoon art isn't particularly appealing. So, basically, like narrator Tommy who isn't sure if Yoda is real or not - I'm not sure if Yoda is worth reading or not. Which pretty much sums up the whole "yes no maybe" feel of the book. One of the things I emphasize when I'm working with new readers is the importance of not thinking of selecting books as a linear process - first boardbooks, then picturebooks, then easy readers, then chapter books, then harder chapterbooks, etc. Parents, teachers, and other caregivers should continue to read aloud to beginning readers for many reasons, including building vocabulary, maintaining interest in reading, encouraging fluency, and just for fun! The nonfiction books I'd like to look at today are ideally suited for adult-child interaction, especially with early readers. I've briefly mentioned Wolfsnail by Sarah C. Campbell previously, when it received a Geisel Honor, but let's take a closer look! The simple text tells in riveting detail the progress of a wolfsnail as it stalks its prey. The reader learns many details about these giant snails and how they feed. The vocabulary level is simple enough for most intermediate readers to read on their own. Beginning readers will need some help with the longer words. 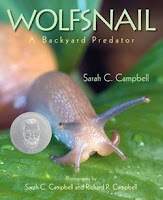 I encourage adults to listen to the child's reading - and help with the longer vocabulary words, then spend some time reading aloud the extended information about wolfsnails at the back of the book, or visit the Campbells' website and talk about their amazing photography! 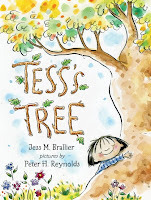 The simple text also makes an excellent read-aloud for elementary students. I also recommend Sarah Campbell's newest book, Growing Patterns. 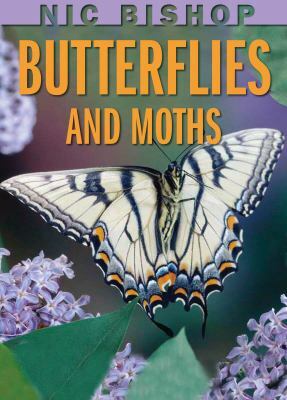 Any of Nic Bishop's books in this series are excellent for beginning readers (Frogs, Spiders, Marsupials) but today we're going to look at Nic Bishop's Butterflies and Moths. Each page has a fascinating photographic spread accompanied by several paragraphs of text. Within the text is a bolded sentence in large print. Additional information about the photograph is included in small italics. When I use these books in storytime, I use the bolded text as a starting point for interactive reading, as the children and I discuss the photographs and facts presented. When working with an early reader, I suggest having the adult read the regular text, then listen to the child read the bolded text. An intermediate reader will be ready to tackle some of the regular text which has fairly simple vocabulary. Longer clumps of information at the back of the book can be read and discussed with an adult. The final series I would like to recommend is Cathryn and John Sill's About guides for children. These cover habitats and a wide variety of animals. The book pictured here is About Reptiles: A Guide for Children. Each spread features a line of simple text on one half and a detailed and lifelike painting of a reptile on the other half. 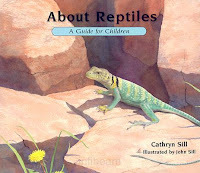 For example, the first page reads "Reptiles have dry, scaly skin." and the second page shows a Rough Green Snake. 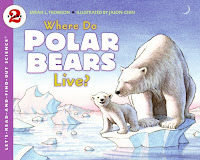 Beginning and intermediate readers can easily handle the text and adults can explain the read the longer descriptions of the animals pictured in the back, where brief discussions of their habitats, behavior, and place in the ecosystem accompanies thumbnails of the previous spreads. Don't just stick to the easy reader shelf with your new reader! Explore the picturebooks and nonfiction for more books that can be read together and encourage a lifelong habit of reading, learning, and curiosity about the world around them! I received a selection of Earth Day related books from HarperCollins. Frankly, this was probably a bad idea of theirs, because, while I am all in favor of teaching kids to be responsible citizens and telling them the truth (yes, I revealed to my little brother that there was no Santa Claus. My grandma was traumatized. He thought it was obvious. ), I am not in favor of scare tactics, which a lot of "environmental" books for kids seem to use. Recycle or the poor, cute polar bears won't have anywhere left to live! Well, let's see how it goes. 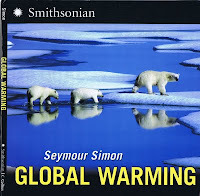 Well, if you're going to have books about global warming for kids, you might as well have them done by Seymour Simon. Gorgeous photographs, simple and mostly balanced prose, although with the frequent uses of "some scientists think" it would have been nice to hear some of the opposing arguments. One complaint. 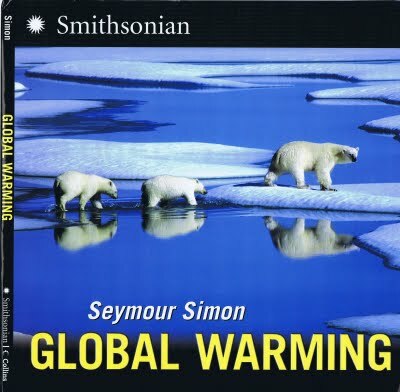 The section which discusses flooding says that "if average temperatures rise.....sea levels all over the world may rise by a half foot....This may happen over years or decades or may take longer than a century...." So, Simon makes it clear this is scientific projection (or what some might call "speculation"). Lots of "ifs" and "mays" in there. Accompanied by photographs of flooded houses and cities. There's no reference in the back as to where these flood pictures actually came from. There's a two page spread on what people can do to use less fuel and "slow down rapid climate change" but no accompanying information on whether scientists think small changes like more people riding bikes will actually affect global warming. There's a glossary, index, and small list of websites for further information about global warming. Not a good effort for Simon, but I can't think of anything better at the moment. Ah, the poor, cute polar bears. I am not in favor of science books for young children narrated by anthropomorphic animals. They get outdated fast. A lab-coated polar bear with glasses tells us facts about polar bears and their habitat. First half of book. 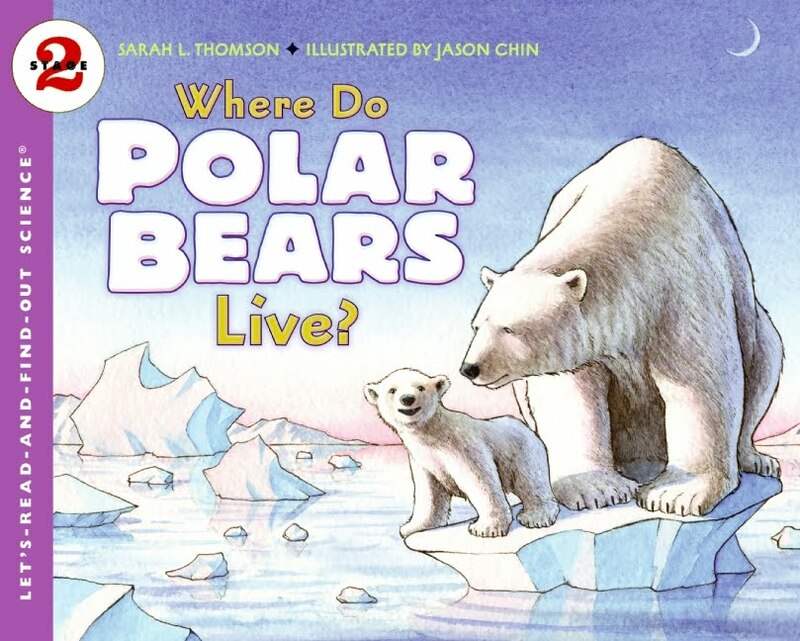 Second half of book - we have a little narrative nonfiction going on as the polar bears catch and eat a seal. Then we segue into the destruction of the polar bear habitat because of ice melting, the size of polar bears (hey, I'm just describing it) and a last, lonely polar bear in the sunset looking at the melting ice. There's a follow up section on "Why the world is getting warmer" and "What can you do?" Save the poor, cute polar bears by writing on both sides of paper! No, I'm not being snarky, that's one of the suggestions. This book is a stage 2 Let's read and find out aimed at "primary grades" I'm assuming that means 1st through 3rd grade. We are also very fond of Biscuit. 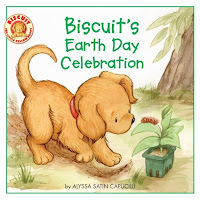 In this story, Biscuit helps his owner celebrate Earth Day by cleaning up the woods, decorating reusable grocery bags, and other simple, practical suggestions. Biscuit is very cute and sometimes cute is good! 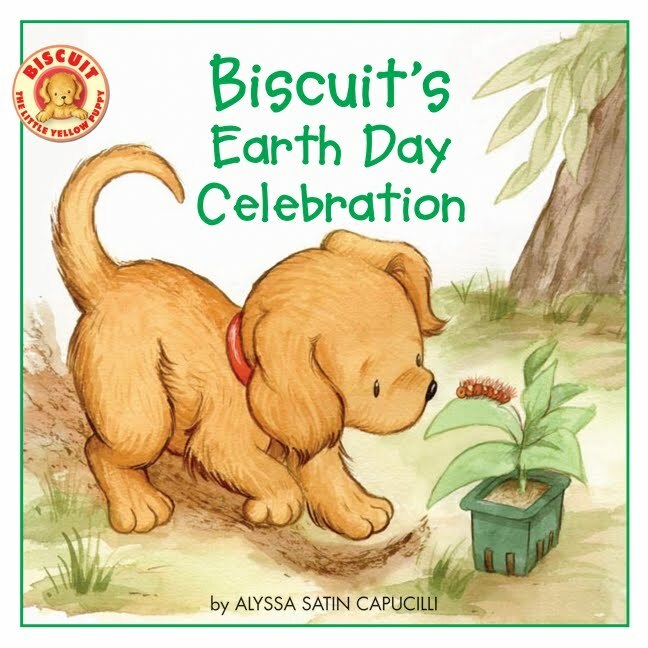 This book only appears to be available in paperback and library binding and my library only collects the easy readers, so it's not for us, but if you need some more books on earth day for younger readers/listeners, this is a good suggestion. It's always delightful when a good series stays good. Geoffrey Hayes, (author of one of my favorite childhood books Patrick Eats His Dinner, which I would love to have my own copy of but the paperback price is currently $562. Sigh.) has written his third in the award-winning Toon series, Benny and Penny. Benny and Penny, two delightfully realistic siblings, have weathered the storms of playing together and meeting a new friend. Now they have to deal with....The Toy Breaker. 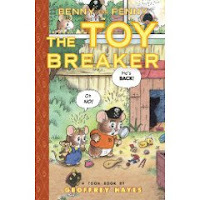 The Toy Breaker is their cousin and he just doesn't play nicely! He's rough and mean and he teases! Not to mention breaking toys! Is there a way they can play with Cousin Bo? Or is he just too mean? One of the things I love about the Benny and Penny series is that Hayes doesn't trivialize or simplify children's developing social relationships. Yes, Cousin Bo is mean and he teases. But a lot of the damage is caused by Benny and Penny trying to hide and hold on to their toys. On the other hand, Bo's teasing really does hurt the two siblings. The solution isn't a lesson in getting along or forced on them by the outside intervention of an adult; the micelings come up with their own solution, where everyone gives a little and makes up for hurting each other. As in the previous volumes, the art is adorable but not too cutesy with plenty of facial expressions to expand the dialogue and a clear progression of the story through the panels. Verdict: Our library patrons can look forward to another winner with Benny and Penny and I can't wait to pass it out when it's released! Penguin and the other "Waddlers" decide they are fed up with being flightless. With a little ingenuity and a lot of hard work, they finally figure out a way they can join the "Flappers". But is there more to flying then getting themselves into the sky? I did actually like the art in this one, especially the giant curves of the balloon and silly detail on the birds, such as their goggles. But I am really blah about poop jokes, of which I felt the story had more than its share. So, no thanks for my library. Verdict: Purely personal dislike. Everyone else probably likes it. The Dragon Codexes (codexi? codex? Ms. Yingling has enlightened me. It is codices) are companions to The Practical Guide to Dragons, much like the Dragon's Eye series (which they don't seem to have ever continued after the first volume. or no, I guess they've published the second. anyways, that's irrelevant). 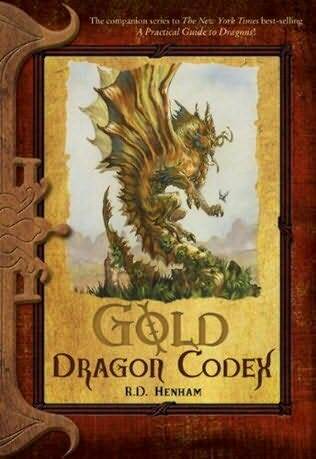 Gold Dragon Codex is the latest, and I believe possibly the final in the series, but it's the first I've read, although I've skimmed The Practical Guide and it's quite popular in my library. Sandon's home valley is threatened by a dangerous blue dragon and his father, the Baron, doesn't seem to be able to drive it away and continues to pay it tribute. But when Sandon extends hospitality to a wandering traveler, Kine, everything changes. Soon horrible secrets are being uncovered and Sandon no longer knows who to trust or believe. This is a complex and richly imagined fantasy, with the various characters' motivations and secrets gradually revealed throughout the story. There's plenty of adventure and excitement, as well as dragon lore but there's also a strong emphasis on character. The reader's will follow the battle between the Baron and the evil dragon as breathlessly as they watch Sandon mature and take responsibility as he begins to see clearly what is happening around him. The ending felt somewhat abrupt as all the threads were hastily tied together and some of the dialogue is a little stilted, but this is an excellent fantasy to hand to kids who love fantasy but aren't ready for the more lengthy and complex high fantasies like Paolini's Eragon series or LOTR (no, I'm not comparing the two, I'm just saying they're both long and complex). Verdict: Recommended if you have plenty of middle grade fantasy fans - and who doesn't? 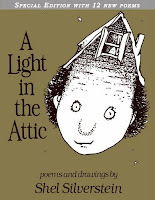 I did buy the new special edition of Shel Silverstein's A Light in the Attic last year. You can never have too much Silverstein. He's the only poet that kids regularly ask for (I know Prelutsky is supposed to be popular, but the kids at my library aren't interested). The extra twelve poems in this anniversary edition are classic Silverstein; funny, irreverent, and they stick in your head like old cold oatmeal. 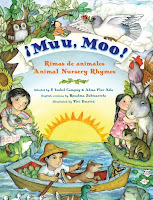 I particularly like Karla Kuskin's Roar and More - it's a great storytime book. 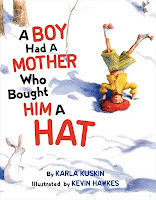 This story in rhyme, A Boy Had a Mother Who Bought Him a Hat, is a completely nonsensical and cumulative rhyme, telling the pointless but giggly story of a boy who insists on wearing and using every single gift of his mother's at all times. It's illustrated by the delightful Kevin Hawkes, whose rabbits in this book I adore. Plus, I can put this in the picturebooks where it will not, like most of my other poetry books, eventually become depressed and envious of Silverstein and commit death by noncirculation. Umm...see, the thing is I don't personally like Chris Raschka. I can understand why he's an acclaimed artist, and the whole vibrancy of his art thing, I just don't like the splash and dash style myself. But the main thing is, I absolutely promised myself I would not take up shelf space with any more music picturebooks, specifically jazz. Because we have a bunch of them and they do. not. check. out. Can we pleeease have some multicultural picturebooks that do not feature the Civil Rights movement or jazz? Just, like, one or two? 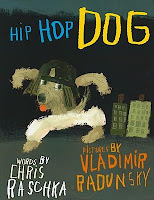 So, yeah, the dogs are cute and all, but I don't see anyone checking out a book about dogs and hip hop music and it's impossible to read in storytime unless you memorize it because of the way the text spirals on many of the pages. I think I'll show this to a couple other people, see if another library wants it or something. Now this one I put on the order list, and took it off, and put it on, and...you get the picture. Because Nye is good. On the other hand, will any teens check this out? I am sure we have some literary teens, a couple have expressed interest in a writing club (which I, unfortunately, have not been able to figure out a time when I could possibly do it so I encouraged them to attend the all ages writing club that meets at our library) but I don't know that we have any teens really into poetry. On the other hand, there are some good poems in here, lots of feeling and emotion and different situations, plus I know I have lots of teens who really like the novels in verse (although most of them don't call them that - they ask for "short books with real stuff"). I did kinda roll my eyes at the poets' little biographies in the back, but what young poets aren't pretentious about their uniqueness? I will be happy to display this in the teen area, see if anyone goes for it. Perhaps it's just wishful thinking, but maybe some teens will actually post some art or poetry on our GIANT and BLANK express yourself bulletin board? Speaking of which, if I find whoever posted the neatly typed list of....inappropriate words, you are so busted kiddo. 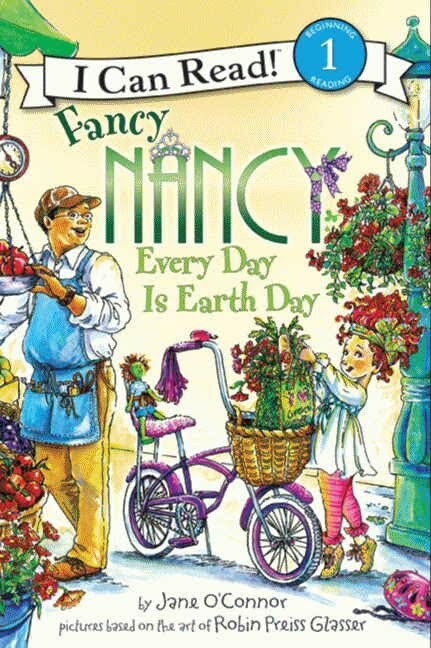 Ah, Fancy Nancy. I had intended to buy this one, in fact I think it's already been ordered, although it's definitely going in the picture books. It will never see the light of day if I hide it in the poetry, plus, I'll forever be dragging people over there for the one Fancy Nancy book that's not checked out. Unlike some, I am not particularly anti-Nancy, although I do wish O'Connor would write more "plain" picture books and give the tie-ins a rest for a while. The tea party book was fun though...This is an ok book, lots of glitter and fancy bits for fans and lots of samples of different kinds of poetry. 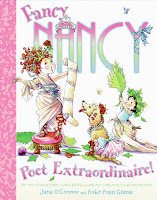 The poetry samples by other authors seem rather random, but as Fancy Nancy herself is something of a magpie, that's to be expected. I do like the way O'Connor shows Nancy's excitement and enthusiasm doesn't always translate into immediate results and her love of the fancy doesn't necessarily mean she's good at everything creative. 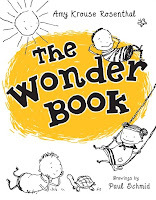 I actually already received a review copy of The Wonder Book from HarperCollins. If Shel Silverstein and Ruth Krauss went down into a hole dug by Maurice Sendak, this is the book that would come back out. Funny, delightful, and varied. My friend, Sara The Librarian, loved this book when I showed it to her over our last lunch, so now I have a copy to gift to her library as well! Our copy is circulating briskly and I foresee a happy future for it. I noticed that this book was being reprinted by the New York Review Books Children Collection, so I borrowed a copy of the older edition to see what it was like. A father comes home after a day at the office and finds chaos. "Is this the sort of welcome I get after a sorely trying day?" he asks. The blame is traced from one naughty child to another and finally back to the cat and then the mouse, who volunteers to take the blame and be eaten....but the cat says...."Who do you think you are...to put on such airs of nobility and unselfish heroism?" and refuses to eat him. This starts a chain reaction of apology moving backwards through the animals and children until the mouse arrives home and finds....chaos. "Is this the sort of welcome I get after a sorely trying day?" he laments. The Victorian flavor of the story and language, along with tongue-in-cheek humor - the children are punished by not being allowed to press flowers - reminds me a little of Else Holmelund Minarik's No Fighting! No Biting! another nouveau old-fashioned book. This might appeal to Lemony Snicket fans, but I see great difficulty in convincing them to read it. I found it amusing and Hoban's illustrations fun, but I think few others would see the appeal. I've been waiting for this book since I first heard a few snippets about it last year, when it wasn't available in the US yet. I was so excited to get an ARC! But I told myself firmly I had to wait to read it until it was almost time for it to be released. So I waited. Yum. First of all, don't you just looooove that cover? Usually, the British covers are better on fantasy imo, but this one really grabs the reader and it's beautiful besides. Tanya can't take it anymore and neither can her mother. The fairies that torment her constantly have not only kept her from sleeping but since nobody else can see them, everyone is starting to think she's crazy. Tanya is furious and desperate when her mother sends her to stay with her remote and unfriendly grandmother in the country. She's terrified too. She knows there are fairies everywhere in her grandmother's house. There's no unexpected warming of her grandmother, no touching reunion or explanations. Tanya does discover an unexpected and often uncomfortable and unpredictable ally in Fabian, but when the fairies continue to torment her and mysteries accumulate, who can she trust? There are darker secrets and powers at work than Tanya could imagine and it will take all her courage as well as help from unexpected allies and friends to escape the menace that is waiting for her. It looks like there's a sequel/companion out in the UK - I will reserve judgment and whapping for unnecessary serialization until I have seen it. Verdict: This is a dark and twisting fantasy, but not so grim that it's without hope or humor. It's breathtakingly exciting and full of magic and delight as well as fear and confusion. This is perfect for fans of the Spiderwick Chronicles and I can't wait to hand it to my small but fiercely dedicated fans of Victoria Hanley's Violet Wings. As I said in my review of VW, the massive ranks of fairy fans are growing up and while they're certainly not ready for Melissa Marr and her ilk, they're demanding more complex and rich fairy stories. Sorry about the itsy bitsy picture, it's the only one I could find. I love Elisabeth Beresford's Wombles series and was pleased to discover one of her magic books in my own library system! There's plenty of magic in the background of the story, although the focus is the main character's gradual acceptance of his role as rescuer and his journey through the history of the island via various magical means. Every section and character of the story hooks neatly into the appropriate spot and finishing it was as satisfying as completing a good jigsaw puzzle. Fans of E. Nesbit, Diana Wynne Jones, and other tales of magic with a classical feel will enjoy this story.